Art as way of living life and art as way of maintaining a life are two concepts that are so close and yet so far away. Many will call art a waste of time and push artiste to chase a more “standard” way of living. In saying “standard” they are saying be normal, this is what the authority says is acceptable. An artist has no authority and cannot even be hindered by their imagination. For many artist an inordinately active mind is not required for them to perform, instead they receive inspiration from people, places, and objects that are based in reality. Art for them is redefining something that is already alive, giving it appreciation, but also creating it in a way that it can be loved for itself and not for what it was modeled after. 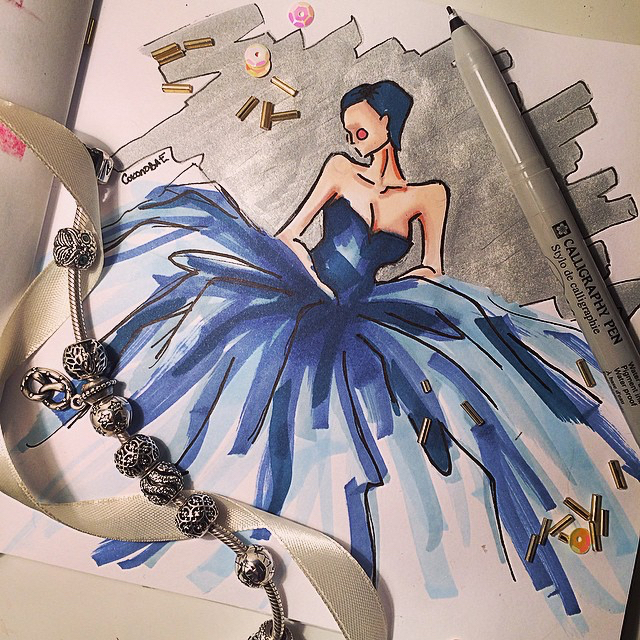 Sketch of old Hollywood brocade dress designed by Zac Posen for New York Fashion Week. Art does not have to be beautiful. Art has to act on you as your religion does. Art must challenge you, push you in one direction, and pull you from another. Art must make you ask “who am I” and then force you to describe yourself in an infinite number of ways. 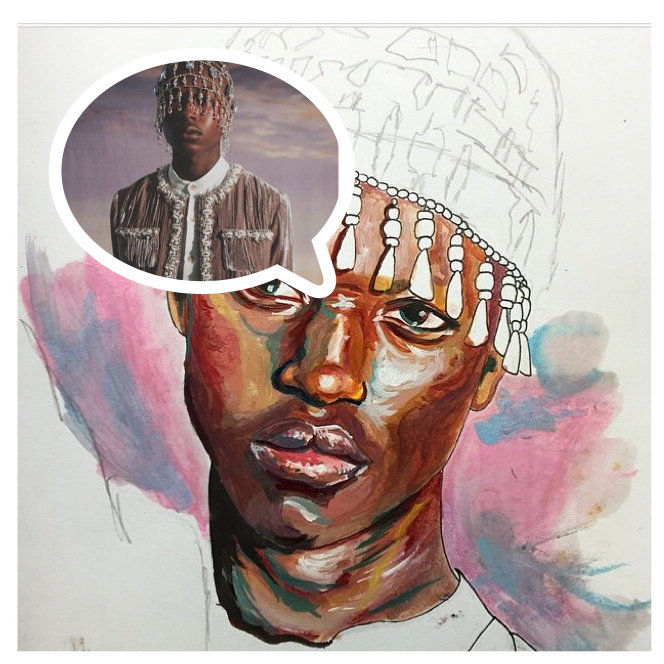 Jamie Baah Mensah for Wales Bonner Autumn/Winter 2015 Lookbook recaptured in illustration by @rahm. 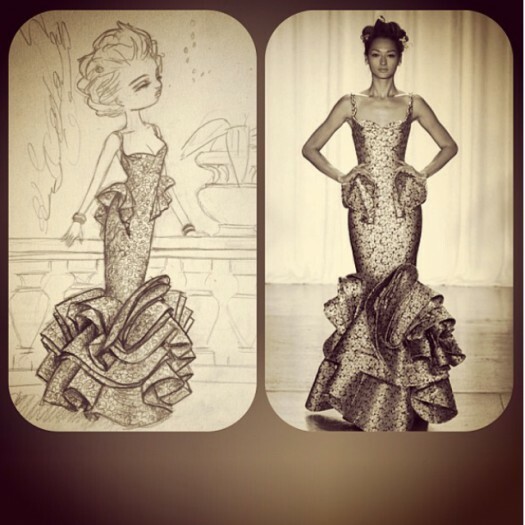 Rihanna in Zac Posen dress.